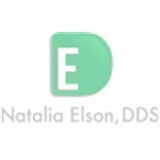 Natalia Elson DDS, PC (Islip) - Book Appointment Online! While at our office, we make sure that you receive the highest level of service and ensure that our dental work is of the highest quality. To ensure that you maintain great oral health, this level of quality needs to extend into your personal oral hygiene routine. We can help you establish a dental hygiene routine that will keep your teeth healthy and white. If you have any questions about your current hygiene plan please ask us. We are always welcoming new patients and we would love to have you as part of our dental family. Please explore our web site to learn more about us. You can find information about our staff, our office, and the procedures and services that we offer. Very professional and felt very comfortable with her. My whole family goes to her now and we all VERY happy!